McALLEN — The first Sunday of every month, Suerte is the perfect place to catch up on the week’s gossip over La Mimosa Chismosas or get messy with a torta sucia. 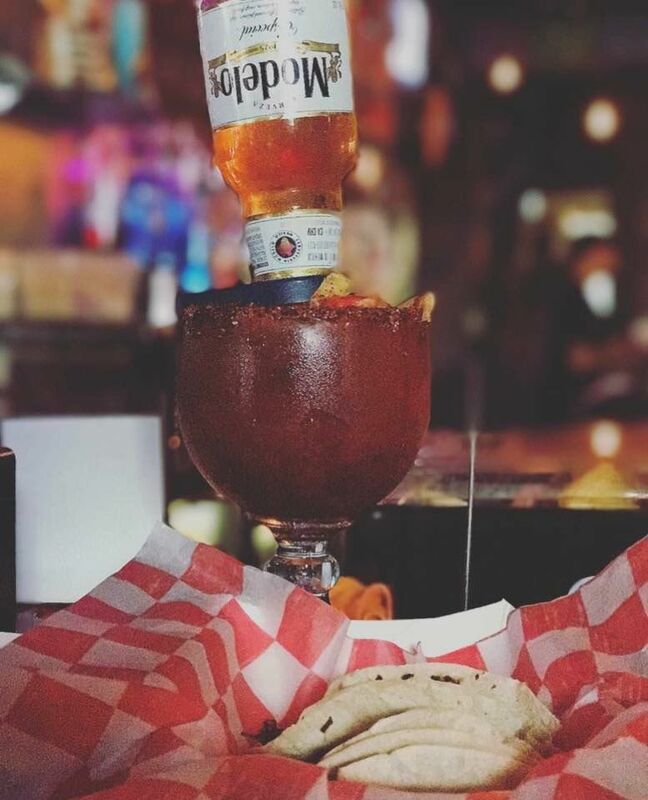 The popular Downtown McAllen bar has recently joined the brunch game, which it calls Sucia Sunday. About six months ago, Suerte started small with barbacoa and Big Red, which is a popular pairing in South Texas. “It’s like a combo,” said the bar’s owner Ben Peña. Ben Peña owns the establishment with his brother Eric Peña and wife Jessica Aguilar. Often times the patrons, who were hanging out at Suerte the night before, will return for barbacoa, according to the bar owners. The brunch menu is still modest but has grown to include such Mexican food favorites as migas and menudo. The latter is a family recipe from the Peñas’ grandmother, who needed some nudging before she handed it over. Suerte also has fun with their concoctions and the naming of its food. 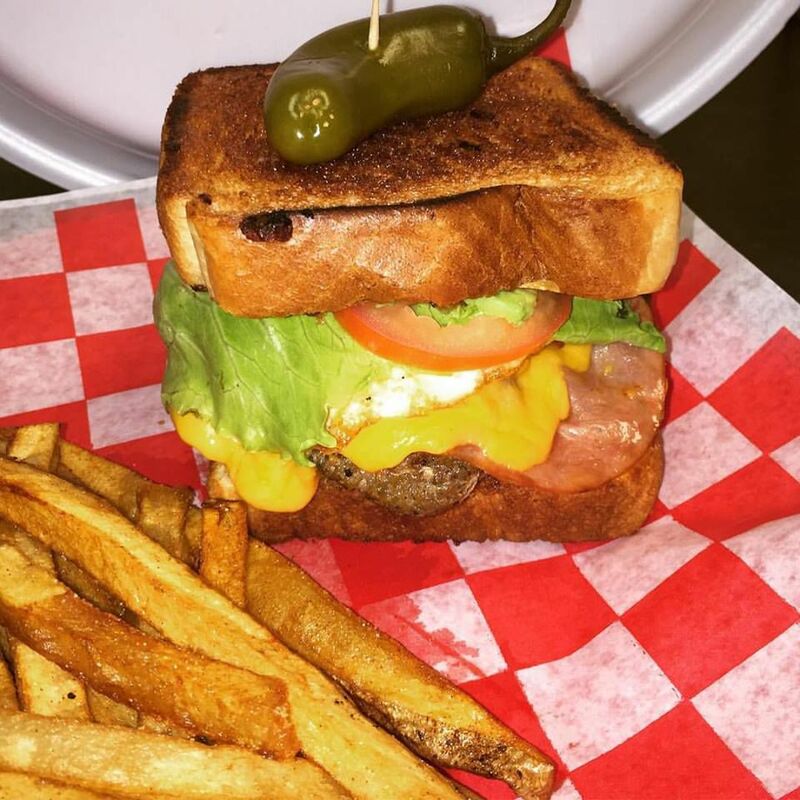 The Mexican burger, for example, comes on Texas toast and includes the beef patty, ham, a fried egg, cheese, jalapeño and avocado. The torta sucia is the type of sandwich you may need utensils to devour. “It is one of those you’re going to get dirty with,” Ben said. 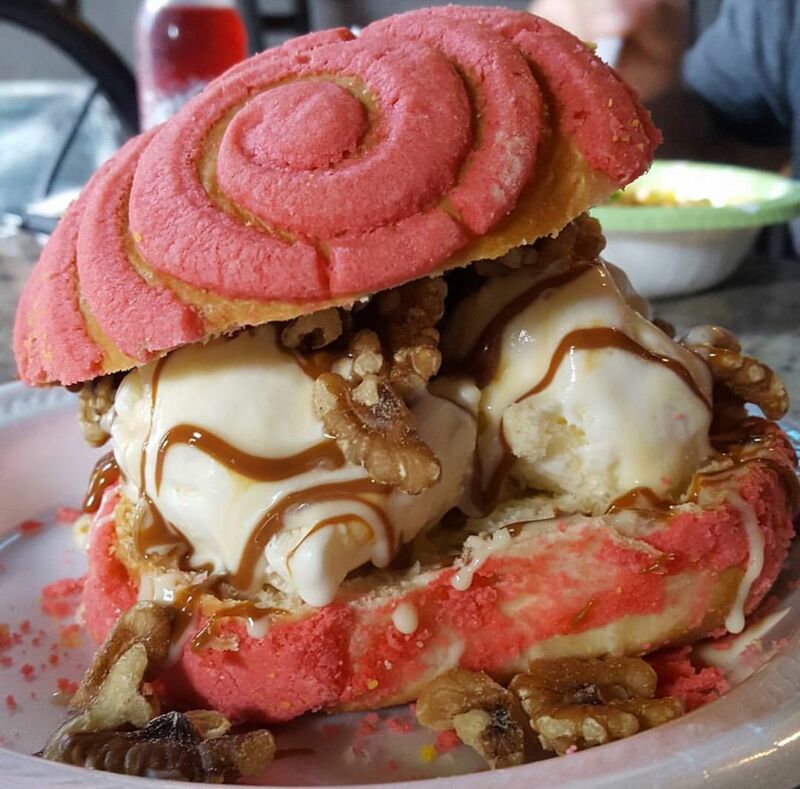 If you still have room for dessert, you can try a concha ice cream sandwich (two pieces of sweet bread with a generous amount of ice cream). Of course, for some, brunch is a reason for an adult beverage or two on a Sunday. Suerte — being a bar — delivers with brunch classics such as mimosas and micheladas. The former came about after customers requested it and named the drink La Mimosa Chismosa. They also serve Big Red Margaritas and will spike your Horchata with Hennessy. Horchata y Henny came about after people asked for it on social media. Aguilar said the bar is open to requests from patrons, adding that the menu is flexible from month to month. Suerte serves brunch from 11 a.m. to 4 p.m. on the first Sunday of every month unless it lands on a holiday and is open to the entire family. The bar does not have a wait staff. Order your food at the bar and a server will bring it out to you.